Note: The footage on these DVDs is extremely rare. It shows the Lamas as they were when their first students met them, when they sowed the seeds of what became FPMT. 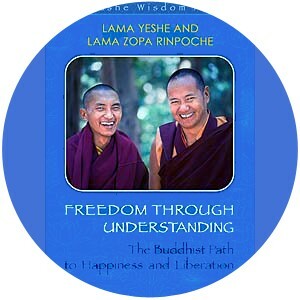 These DVDs contain archival footage derived from less than optimally made videotapes in the 70s and early 80s; thus, there are gaps in the footage and other issues.Lama Yeshe Wisdom Archive director Nick Ribush has kindly supplied us with his own story of how these precious DVDs were made. 3 disc set, totaling over 10 1/2 hours playing time.